An ad by a Saudi company replacing a woman in a swimming pool with an inflatable ball has caused uproar on social media. 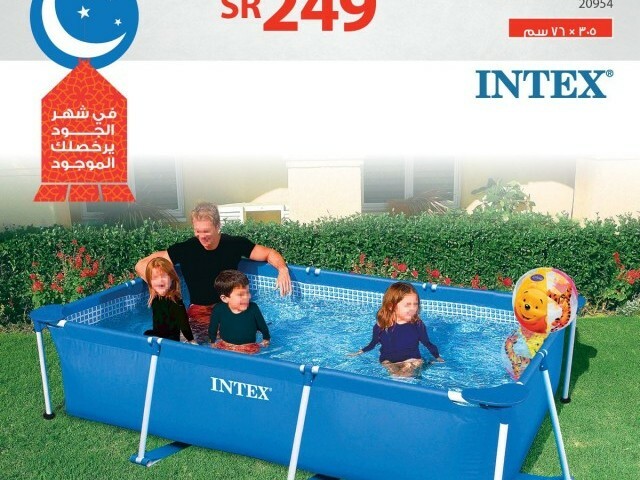 Posted on Twitter by retail company SACO on their official page, the image features a family lounging in a swimming pool with a glaring difference from the original image – as pointed out by a Twitter user who posted original image – there is an inflatable ball where there’s supposed to be the woman. Other changes include pix-elated faces and blacked-out bodies of the man and two kids. It did not take long before the stark differences were noticed by the Twitteratis, who had a hard time comprehending it. This happens a lot. In my translation class we talked about an Ikea catalogue where they had erased every woman. The Kingdom of Saudi Arabia has strict modesty rules, making it obligatory for women to do hijab or wear abaya when they step outside their homes. Last year, Saudi police detained a young woman after receiving complaints that she removed her abaya on a main street in the capital Riyadh. Since when did we start taking issues with other country’s ads ? Its their law for not showing women in ads and the ad was edited for that purpose.